As the Eagles and Cowboys prepare to face off for the NFC East title, things took an interesting turn yesterday when multiple sources reported that Cowboys QB Tony Romo is out for the season with a back injury suffered in the Cowboys season-saving Week 16 win over the Washington Redskins. 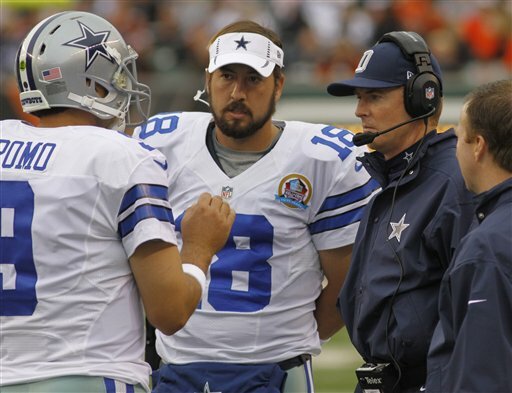 With Romo out, veteran Kyle Orton became the Cowboys starting QB for Sunday night’s game. Never short on drama, especially late in the season, both Cowboys head coach Jason Garrett and owner Jerry Jones both refuted the reports and stated that a decision has not officially been made regarding Romo’s status for Sunday and that there is still a chance he could play. As far as the Eagles are concerned, the best thing they can do is game plan as though nothing has changed since last Sunday. They have been torched by a backup already when Minnesota Vikings QB Matt Cassel, filling in for Christian Ponder, threw for 382 yards and two touchdowns, as well as a rushing touchdown, in a 48-30 win over the Eagles in Week 15. The thing about when a backup comes in is that it can be a big wild card. Because Orton hasn’t played much over the last couple of seasons, it is hard to say if we will see the Kyle Orton who wa successful as the starter for the Denver Broncos or the Kyle Orton who lost that starting job to Tim Tebow. Then again, it is still not known if we will see Kyle Orton at all as Jones and Garrett have maintained that no decision has been made. However, there should be a definitive answer in the next 2-3 days. 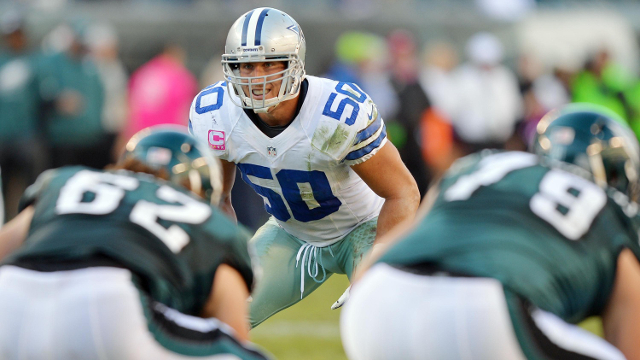 Overshadowed by Tony Romo’s injury is the injury to Cowboys middle linebacker (and former Penn State Nittany Lion) Sean Lee. Lee, who sprained a ligament in his neck in a game against the Bears back in Week 14, has missed the last two games and is doubtful to play this Sunday. Currently in his fourth NFL season, Lee has emerged one of the leaders of the Cowboys defense (much like he was during his time at Penn State). In the 11 games he has played this season, Lee has 99 tackles and four interceptions, one of which he returned for a touchdown. It appears as though Lee will not play this weekend, which is a pretty big blow to the Cowboys defense. Hopefully the Eagles can exploit the gap left by his absence. At the end of the day, Chip Kelly has a plan regardless of who is playing and who is not playing. Having gotten and idea of the method to his madness as the season progressed, I’ m sure he has not changed his game plan much over the last 48 hours. I trust whatever Chip decides to do. One thing is for sure: This is a different Eagles team than the team that lost in Week 7 to the Cowboys in Philadelphia. In Chip (and Nick Foles) we trust.